Aloha! 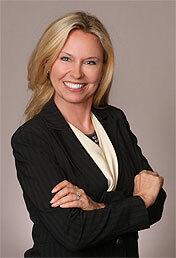 My name is Julie Schweitzer Ford and I'm the president of Schweitzer Consulting. Thank you for visiting us. We are not your typical PR agency. We emphasize the full integration of PR into our clients' overall operations so that PR campaigns enhance their overall businesses, not disrupt them. We have special expertise within the financial sector, but our clients represent a broad spectrum of industries including healthcare, technology, renewable energy, architecture/construction, investment management, and retail. We offer the benefits of a large, full-service PR agency with the dedication and attention that only a small firm can deliver. As a result, we deliberately limit the number of projects at a given time. This sometimes means we have to turn projects away, but it also means that each client receives the attention they truly deserve.